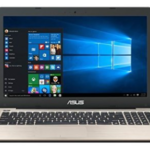 Asus X53SV-RH71 is a 15.6-inch laptop equipped with a 2nd Generation Intel® Core™ i7-2670QM processor, 6GB DDR3 memory, and 750GB 5400RPM Serial ATA hard disk drive. The laptop sports a 15.6″ 16:9 HD LED Backlight display at 1366×768 resolution, and NVIDIA® GeForce® GT 540M with 1GB dedicated memory. 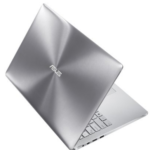 The Asus X53SV-RH71 laptop also comes with 0.3 Mega Pixel Fixed web camera, Super-Multi DVD optical drive, Built-in Speakers And Microphone, Altec Lansing® Speakers, 802.11 b/g/n WiFi, and 6 cell Lithium-Ion battery. 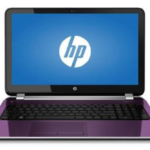 The laptop runs o Genuine Windows® 7 Home Premium 64-bit operating system. Needless to say, such a configuration is good enough for our daily use, people are very satisfied with it. Oh yeah, the Asus X53SV-RH71 has become a hot selling notebook PC, so I think I'd better share it with you guys today. It takes you further with ASUS Power4Gear that lets you instantly select from a host of preset power profiles for high performance or battery savings. 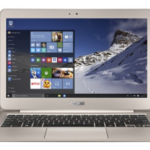 As a well-configured 15.6″ Asus laptop, the X53SV-RH71 is great for watching movies, its brilliant 15.6-inch HD display lets you indulge with clear visuals and HD cinema. What's more, Multi-touch trackpad with ASUS Palm-Proof technology lets you intuitively navigate through web pages, documents, and pictures while helping to prevent typing errors. So I believe you guys will be fond of this laptop too. 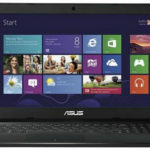 Well, what's your opinion on the Asus X53SV-RH71 i7-2670QM 15.6-Inch Laptop?